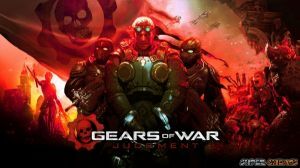 GoW: Judgment takes place in the past and puts players in control of Kilo Team which is led by Baird, one of the members of series' main set of characters, the Delta squad. The game is divided into several "testimonies" or chapters, divided in sections. Members of Kilo Team awaits trial, and they will narrate the events that lead to the Present. The outstanding combat and cover system is still Present, while new enemies will surely challenge players to new heights. Declassify Missions are introduced in this game. These are optional missions that will allow stars to be earned faster. The game also features Aftermath mode, which is basically a short expansion of the events from Gears 3. This guide will assist you in completing all the campaign missions, finding all COG tags, Declassify Missions and will also feature an achievement guide to help you earn those Achievements. Section 2 - Anybody Home?